There is just something comforting about the appearance of the Kershaw Grant County 3100W that will appeal to knife collectors of all ages. 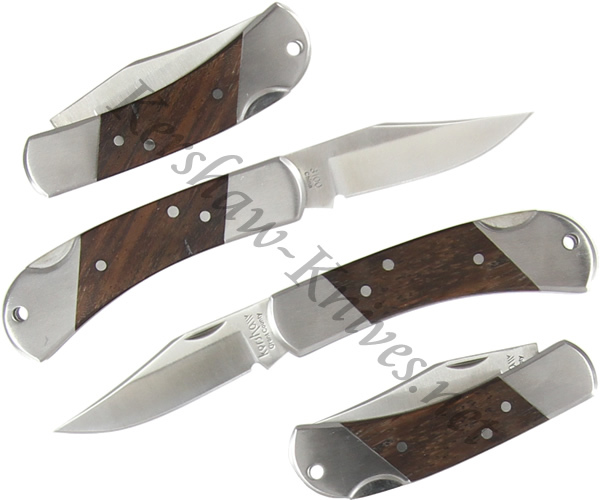 Perhaps it is that the classic design is timeless, making the Grant County look like a knife your father or grandfather would have carried and passed down through the generations. The 8CR13MoV stainless construction of this beautiful lockback folder suggests that it will be around for years to come. The hardwood inlays contrast nicely with the satin polished steel finish of the bolsters to produce a knife you can be proud to keep around.